Courier service is an essential part of business in Indonesia, but with more than 18,000 islands throughout the country, managing and tracking thousands of shipments can become difficult to maintain. Thus it's no surprise that smart mobile technology and applications are in high demand among local business and enterprise. 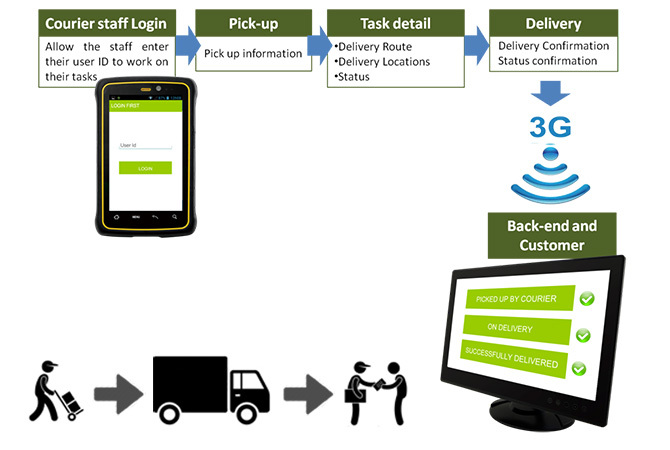 To meet this demand, one of the largest local delivery and logistics companies in Indonesia adopted the next-generation Winmate Android PDA, a rugged, industrial handheld designed to manage detailed shipment information and courier status in real time. 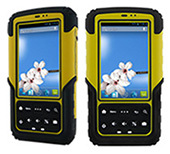 The Winmate Android PDA, the E430RM2-3BM, was also used to capture data via the built-in barcode scanners. This minimized error all the way from pickup to final delivery. With the user-friendly interface, courier staff simply logs into to access route information delivery details, locations and status – everything they need to quickly and accurately deliver their package. The Winmate handheld, combined with automation technology, decreases errors and speeds delivery times. It is also built to withstand the rigors of the job – delivery couriers don’t have to worry about handhelds breaking down on the job. The E430RM2 rugged, mobile handheld can also be equipped with an industrial-grade barcode reader, for quick, accurate package scanning and recording. 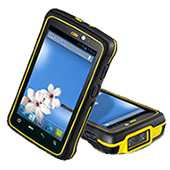 It also comes equipped with precision GPS and 3G for fast routing and easy communication with the office. The E430RM2 is lightweight, yet durable and features a sunlight-readable 4.3-inch multi-touch screen, and powerful Android computing. 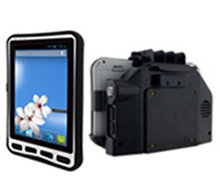 It also offers robust data collection with Motorola barcode scanners and dual cameras. Advanced communications options such as WLAN, GPS, Bluetooth and optional 3G enable uninterrupted communications and connectivity. The handheld’s rugged construction also protects it from shock, dust, liquid, vibration and extreme temperatures, so you know it will holdup to even the toughest treatment. Save time and money while decreasing shipment errors and increasing peace of mind with the Winmate E430RM2.